So your ready to enter your horse in an event! Click the Events Link which will bring you to the list of scheduled events. Entering an event is quite simple, visit the list of events in the event list page, then click the link on its name. Below the list of entries already entered in the event will be a drop down box of horses you have eligible for that particular event. If your horse doesn't show up, it's either in the pasture or it doesn't fit the criteria for the event, such as wrong breed type or training type. Select the horse you wish to enter, choose a rider and click enter. You can choose yourself as a rider, or for better results as a novice, check the marketplace for NPC riders of 127. You do not need to be present at the time of the event. Results are recorded and your riders will handle all the small details. Everything is automated, including the judging so competition is not biased. Remember, it is against the rules for any player to enter more than 4 horses in events, no matter how many sponsors or accounts they own. Tip: Different events require different training. Check out the Training Guide section for better instructions on how to train. Also keep in mind that sponsors with training skills will be more successful at getting a horse ready for competition. As mentioned above, you do not need to be present at the time of event. When you do next log on and you think an event has taken place, or you wish to just snoop about who won what, go to your horse's page and click on 'View Event History for this horse'. There will be a list of events that that particular horse was entered into. Finished events will have results and events not run won't. 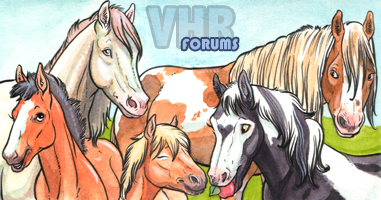 Events will eventually be deleted out of the database, so if you wish to remember/record the event and your horses performance, you have that note section on your individual horse's page to write as you wish. You do not need the cash at hand to enter an event, and are allowed to go in debt. Tip: If you bet on a horse and it has placed in the top 3, you need to revisit that event's result page after it has taken place to collect your winnings. There will be a button from there if you did win anything, and it is pretty straight forward. Only sponsor players can create an event by clicking the Create Event Link in the events section. Here you can specify which ever event you wish to hold. The cash you put up for for the prize is immediately taken out of your wallet. When horses enter an event, it is added to your wallet for the amount of the entry fee you set. Once an event is 24 hours old and has at least 10 entrants, you may run it by clicking on the event and then the Run Event link at the top. Events that run overdue may be run by game ops after a couple days, however, if there are not at least 2 different players (Note, this is players, not ranches) and four horses, the event may be deleted and you will not get your money back. So be careful that you do not limit the parameters on the event so much that there is no competition. Players cannot run their own events with fewer than 10 horses.